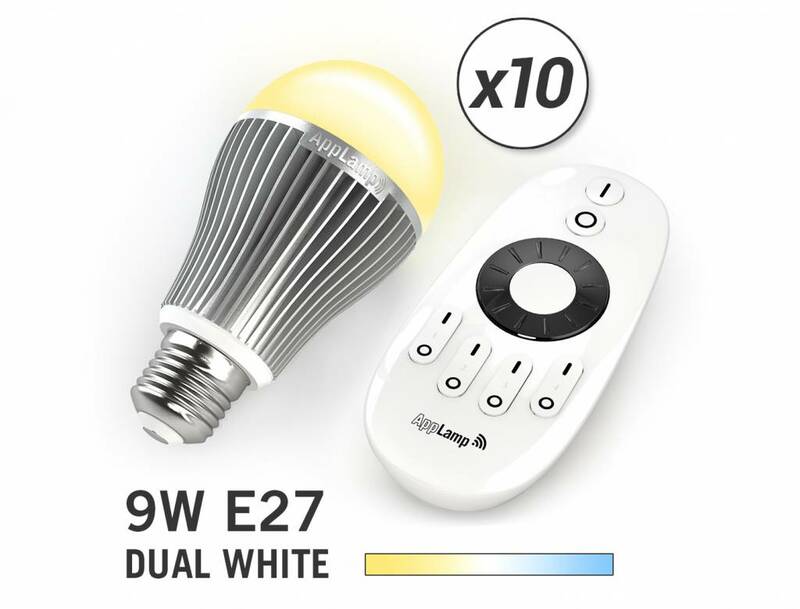 Ten Dual White LED bulbs with 9 Watt LED. Variable brightness and color temperature from warm white to daylight. Complete with remote control. Optional add-on: Wireless Box with APP. 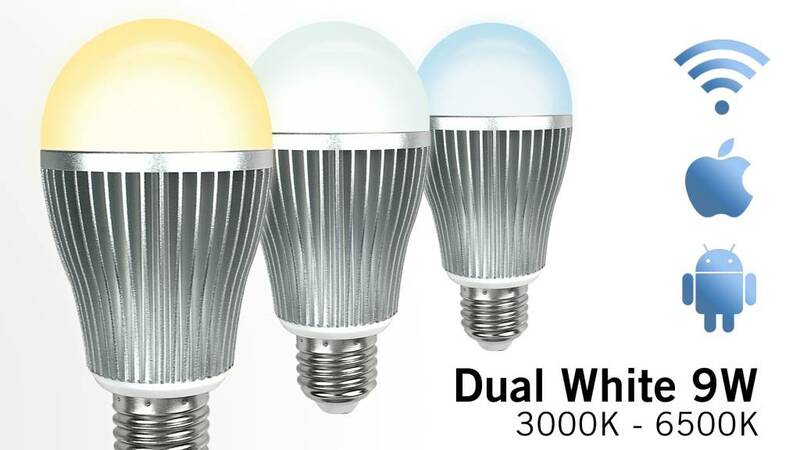 These economic dimmable LED lamps can mix two shades of white! From cozy warm white for the evening to sparkling day light and everything in between. 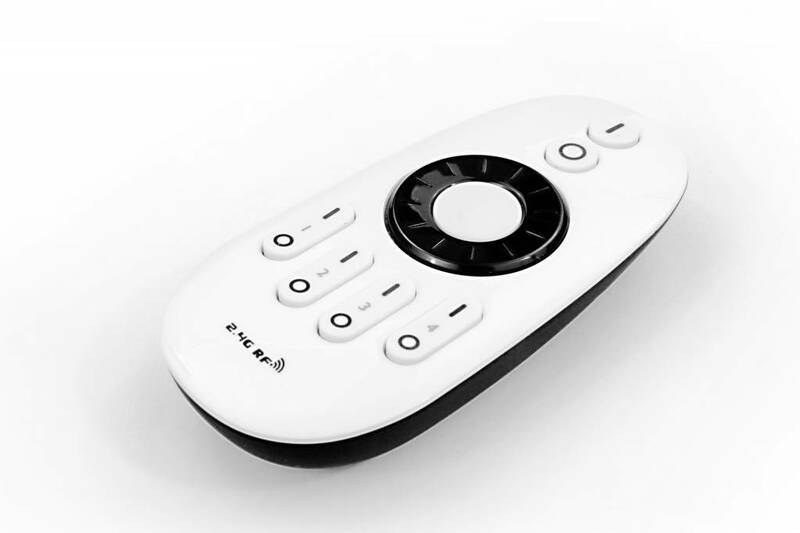 With the 4-channel remote, 4 light groups can be individually adjusted. In short, the ideal replacement bulb with unprecedented ease. 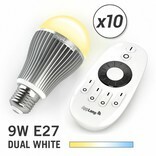 With a power consumption of only 9Watt (7.5 Watt LEDs) you still get the light from a normal 60 watt bulb. 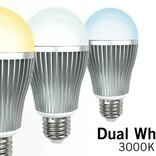 You save 80% energy and Wifi LED lamps have a long lifespan of 50,000 hours! 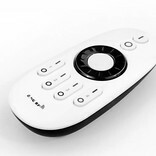 You can also control AppLamps with an app on your smartphone or tablet via WiFi. You only need the Wifi Box and the free App.